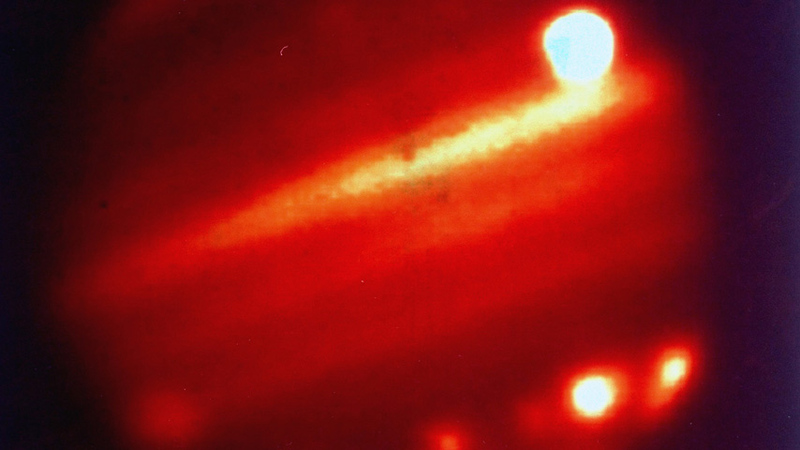 The collision of comet Shoemaker-Levy 9 with Jupiter in 1993 was the first collision of its kind to be witnessed by man. The comet Shoemaker-Levy 9 was discovered orbiting Jupiter in 1993. Shoemaker-Levy 9 is the only comet to have been seen orbiting anything other than the Sun. Studying Shoemaker-Levy 9 allowed scientists to see what happens when a comet collides with a planet. Shoemaker-Levy 9 proved that the process by which the planets first formed is still ongoing today. In the early 90s, it wasn't rocket launches or astronauts that were the talk of the astronomical community. By early 1993, astronomers Eugene and Carolyn Shoemaker, and David Levy had discovered numerous comets together.